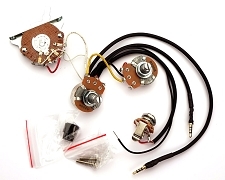 Kwikplug Harnesses made specifically for Japanese and Asian sourced guitars or for ANY guitar where space is at a Premium! 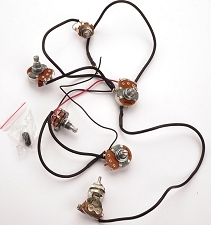 This is a universal 1 Humbucker harness. 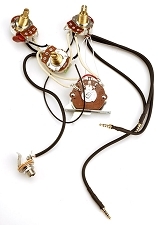 Simple- single humbucker, single volume knob and a single tone control. This is the setup on THOUSANDS of different guitars. 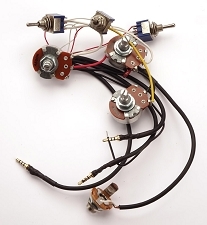 The tone control is a coil split switch- Pull "UP" for single coil, down for humbucker. We use miniature 500K pots and a .022uf cap. 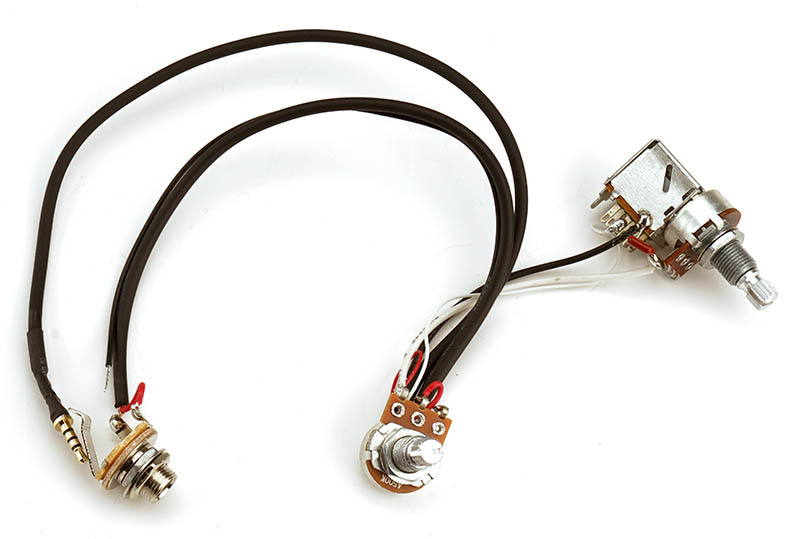 Plugs DIRECTLY into all Kwikplug pickups!